Arshi has worked with children from diverse backgrounds and academic levels as an afterschool activity specialist for the past 8 years. She was also an AmeriCorps Team Leader and organized many community service projects. Arshi Pal is a graduate law clerk. She focuses her practice on Special Education Advocacy and Elder Law.She has worked with children from diverse backgrounds and academic levels as an afterschool activity specialist for the past 8 years. She was also an AmeriCorps Team Leader and organized many community service projects. 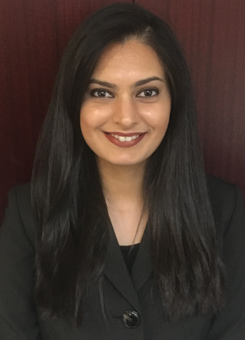 Arshi received her Bachelors in Legal Studies from St. John’s University, where she interned at the Queens Volunteers Lawyers Project, St. John’s School of Law Securities and Arbitration Clinic, and the US District Court for the Southern District of NY, Docketing division. Arshi graduated Brooklyn Law School in the Two year Accelerated JD program. Arshi is a Brooklyn Law Students for the Public Interest Fellow. She has interned for the NYC Department of Social Services and US Attorney’s Office Immigration department at the graduate level. Arshi is a freelance writer; she likes to write poetry and short stories in her free time.